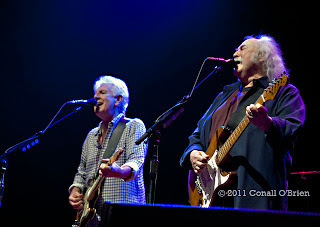 Crosby and Nash, longtime creative partners since first harmonizing in 1968, performed as a duo backed by a band consisting of Crosby's son, James Raymond on keyboards, Dean Parks playing guitar, bassist Kevin McCormick and Steve DiStanislao on drums. 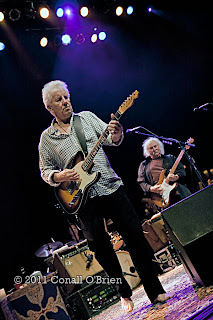 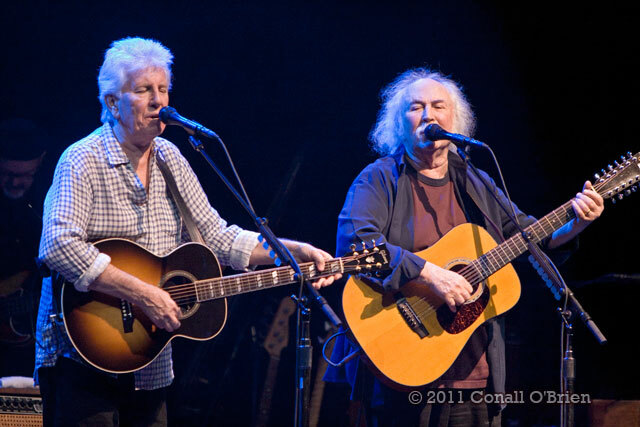 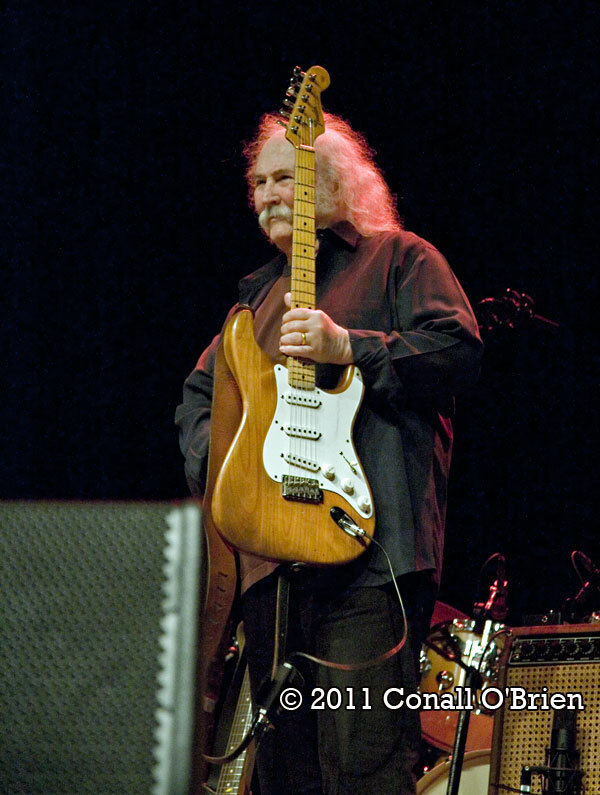 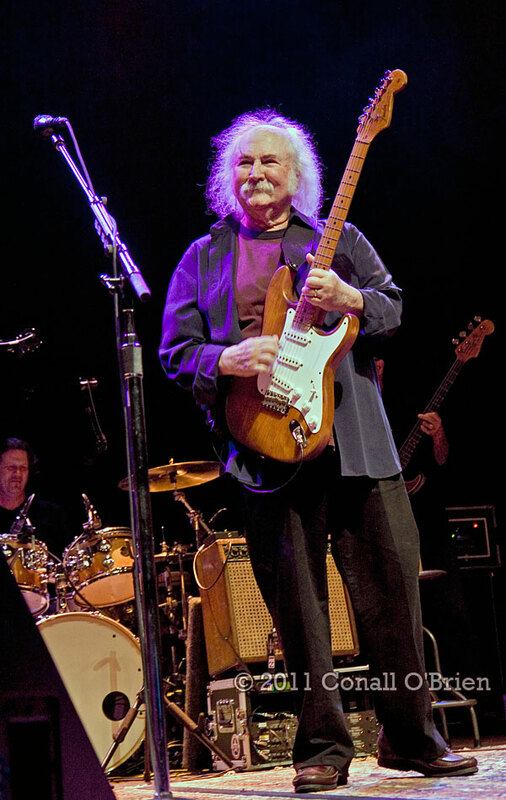 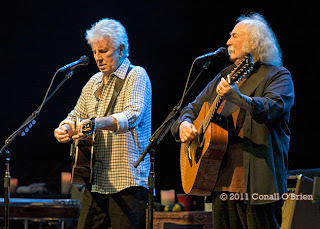 Two sets were played with Crosby and Nash switching between acoustic and electric instruments, opening the first set with the classic Byrd's song "Eight Miles High". 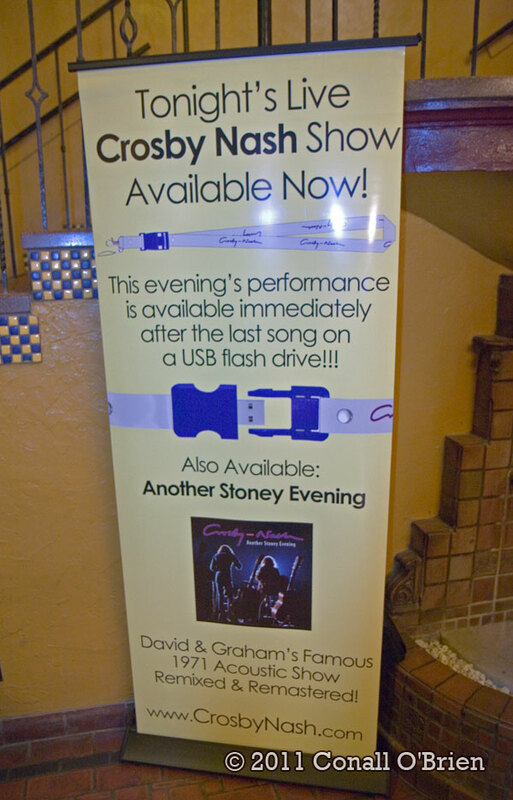 Nash-written classics" Marrakesh Express", " Our House" and the CSN/CSN&Y hit "Teach your Children" were played as well as "Immigration Man" ," Almost Cut my Hair", and one of my favorites ' Wooden Ships" written by Crosby, Stephen Stills and Paul Kantner. ( Personal note - I tell everyone who knows me that Paul Kantner's Jefferson Starship was a catalyst in me being a photographer as the Jefferson Starship has no restrictions on photography by members of their audience). 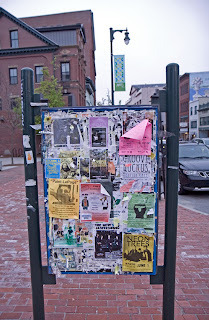 I chose this street image for the yellow "Paint (Gov.) 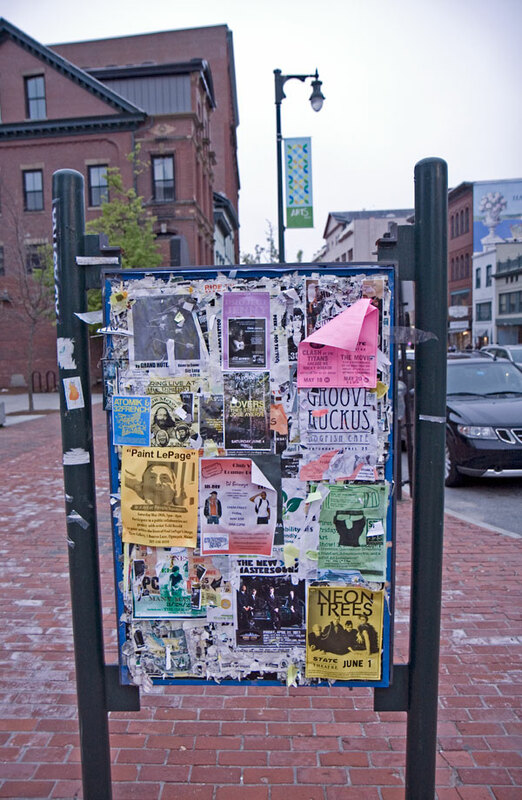 LePage " flyer attached, a project melding art and community. Evenings performance was available on USB flash drive, 30 mins. 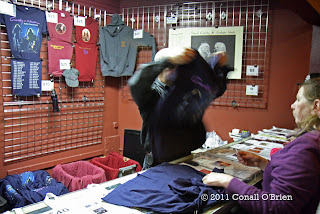 after the show. This photographer was keen on creating images of the Grammy-winning, Rock and Roll Hall of Famers - Graham is a renowned photographer who has authored several photographic books and who's work in digital fine art printing is in the Smithsonian's permanent collection " Camera". David's father was a filmmaker who won an award for best photography for "High Noon". 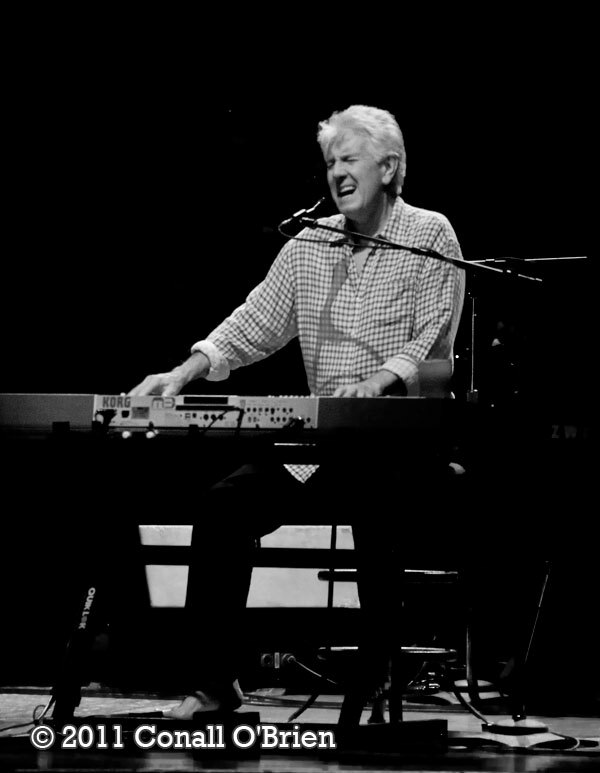 As hoped for Graham and David played "Camera" a song written in 1994( CSN "After the Storm"), which channels my same feelings of wanting to capture images at night with just my eyes., and I feel an idea to encourage photography. I was able to create images of the first two songs, and then sat down and actively listened to the rest of the show for the complete experience. 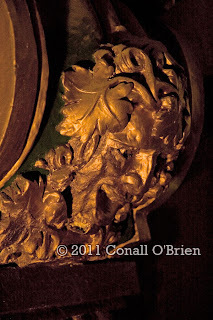 Detail of Ornate wood carvings in the balcony of The State Theatre in Portland, ME. 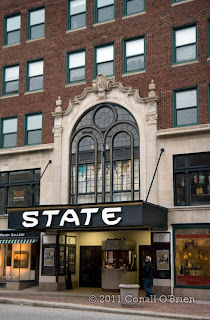 Thank you to everyone at The State Theatre - Portland for arranging the exquisite performance with David Crosby & Graham Nash. 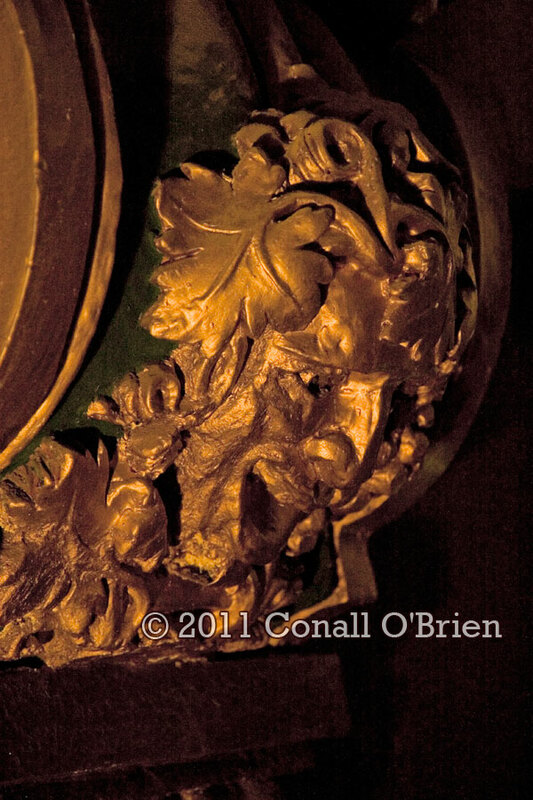 Great post and photos Conall! Love the full coverage of the show. 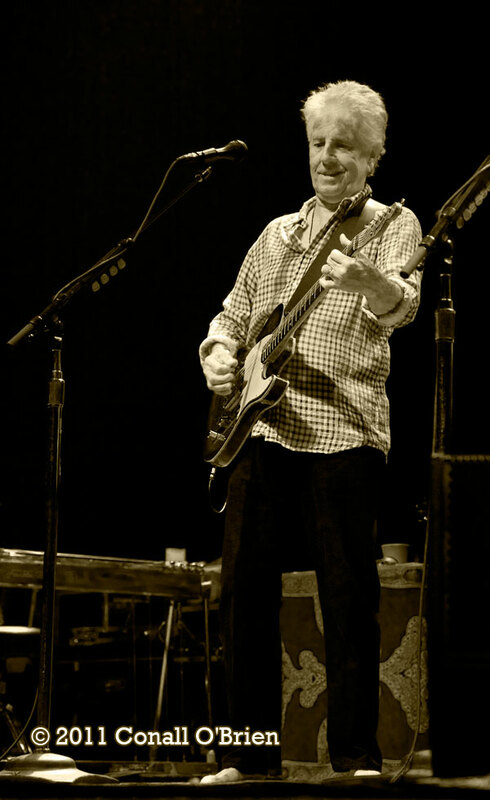 Looks like it was a fun time!